We’ve created and produced a new exciting entertainment concept called ‘Theater of Imagination’ for a big corporate event at the Amsterdam RAI. 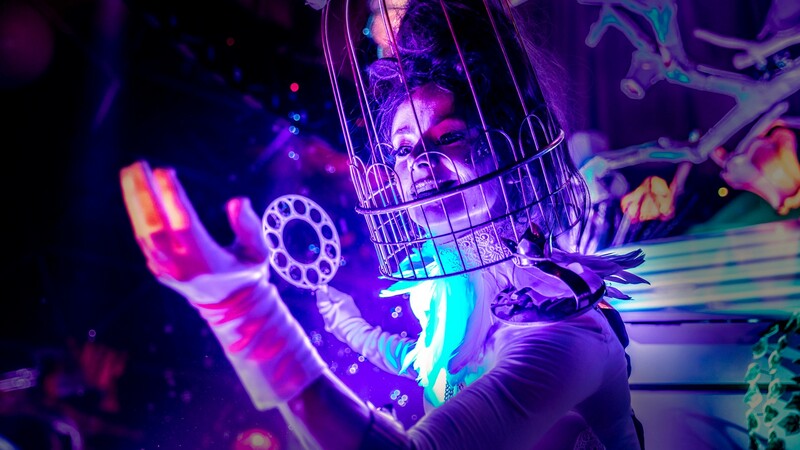 An event assigned by MCI Group Amsterdam for approximately 10.000 people who were in search of their imagination. Our mission was to create a unique entertainment concept that envisioned the corporate future of the company. With a breathtaking show we took the audience on a magical journey to explore the deep crevasses of their creative mind. To accomplish this we fully customized the concept for this event. Therefore we designed the props and costumes, composed the music and shaped the choreography to make their corporate vision actually come to life.